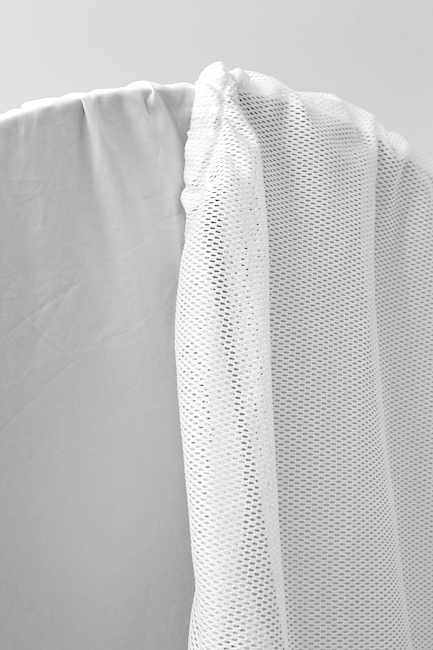 The mesh diffuser is how it sounds, an interwoven mesh of material. This results in a very subtle diffusion of the light, around 1/3 stop loss of light and is great for just a hint of softening. Similar to the ‘standard nylon diffuser’, the light weight diffuser is a breathable polyester fabric which allows more air to pass through the fabric. It is not as dense and diffuses a little less than the ‘standard nylon’ diffuser. (about 1/3 stop difference) This will help reduce the ‘ballooning’ effect when the lights fan / heat will fill the soft light and balloon the diffuser outward with some flash heads. Like the light weight diffuser above, except this diffuser has an additional 3/4″ vent at the top. 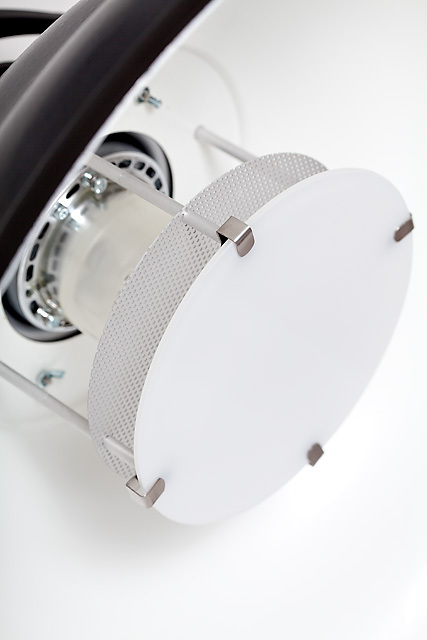 This vent makes it ideal for tungsten and HMI continuous lighting which generate heat. 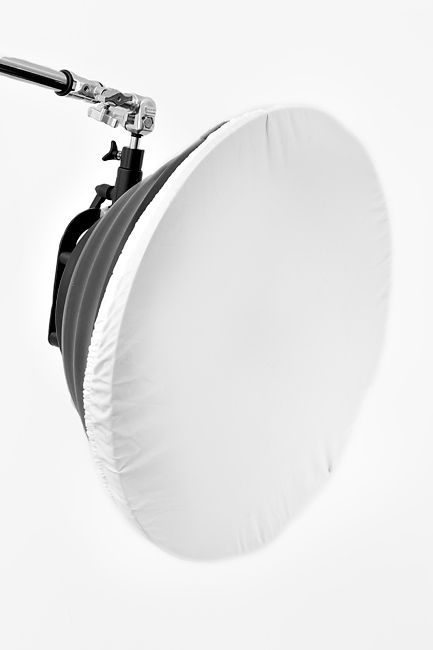 Both of these LW diffusers will allow you to continue to shoot with lights that generate heat, or lights that are prone to overheat quickly and have thermal cutoffs. 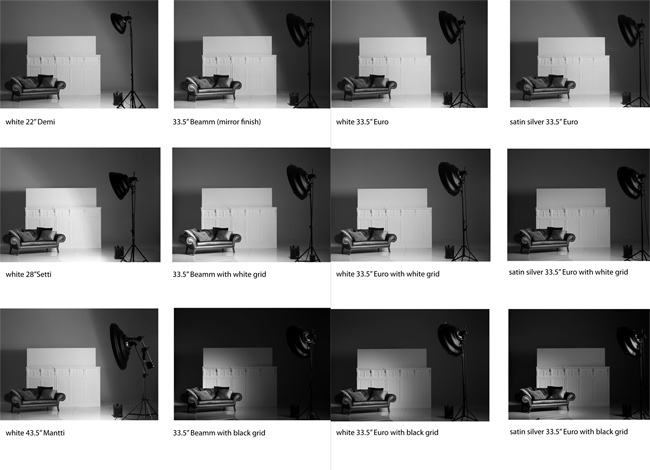 TIP: some shooters will double-diffuse Mola’s by installing 2 diffusion socks for an even softer, subtle fill light. Recently featured Mola user; Fiona Quinn uses this from time to time. 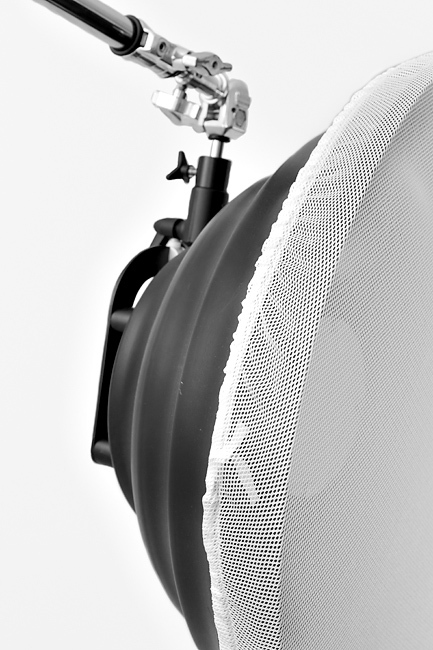 The standard nylon diffuser that ships with each reflector does over time become dirty given studio or location situations. 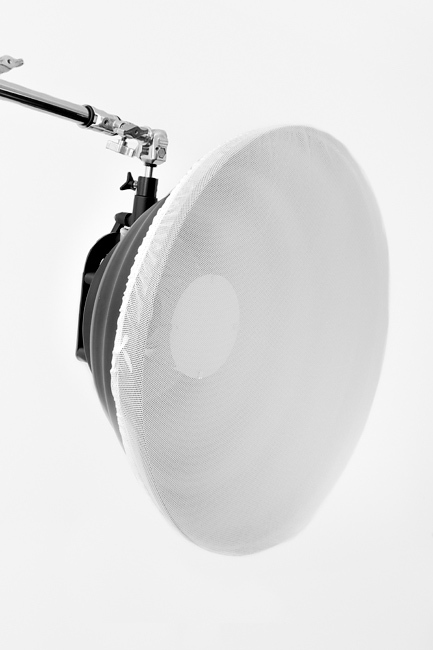 Some strobe fans drive endless amounts of air through your reflector pushing airborne dirt and dust into the diffuser. Over time the dirt from fans or just months or years of location can take their toll on how clean your diffuser is. Simply hand wash your nylon diffuser in a mild detergent and air dry, for tougher stains a fabric stain remover or a detergent with bleach will work well. For taking out the wrinkles once it’s dry, just a quick spray using a spray bottle with clean water or a studio steamer will make the diffuser flat and wrinkle free.